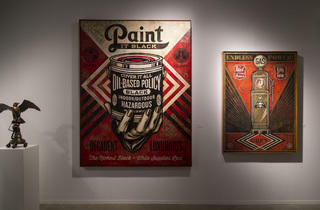 Worldwide icon-chevron-right North America icon-chevron-right United States icon-chevron-right Illinois icon-chevron-right Chicago icon-chevron-right Review: "Art Alliance: The Provocateurs"
Review: "Art Alliance: The Provocateurs"
Photographer: Jaclyn Elizabeth RivasObey Giant creator Shepard Fairey curates "Art Alliance: The Provocateurs" in partnership with Lollapalooza at Block 37, July 31-August 4, 2014. 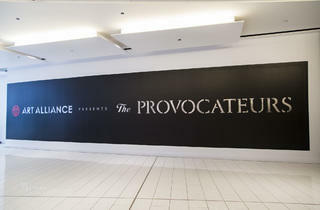 I've never been up to the third floor of Block 37 before, mostly because I don't think there's ever been a permanent store or tenant on that level of the building. 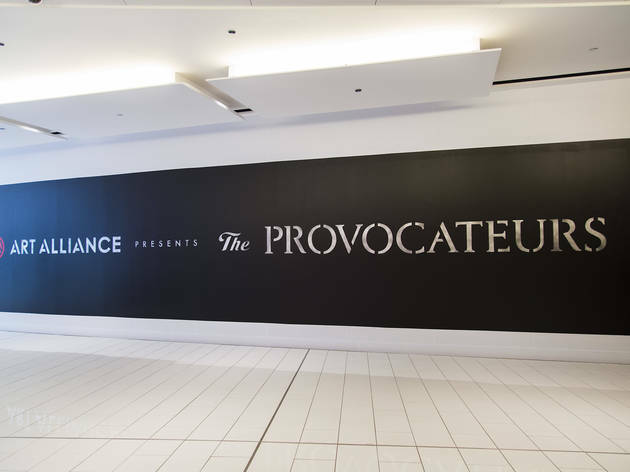 But there's a first time for everything, so I boarded the escalator in the neglected downtown mall and made my way up to the space that is being used to host "Art Alliance: The Provocateurs", an art show curated by designer Shepard Fairey. 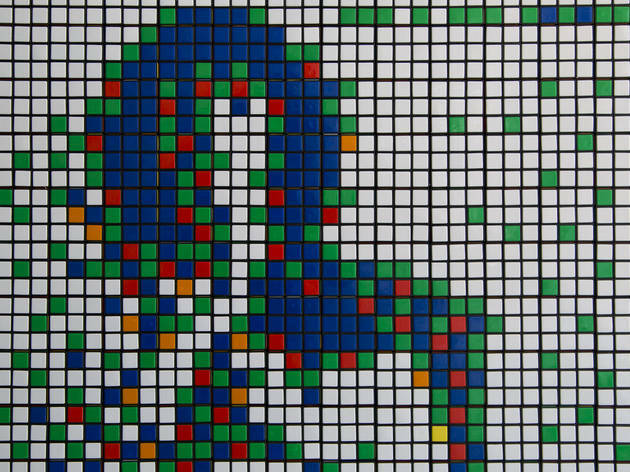 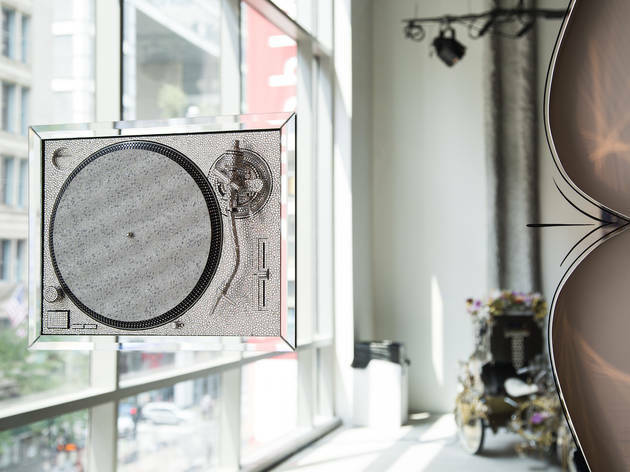 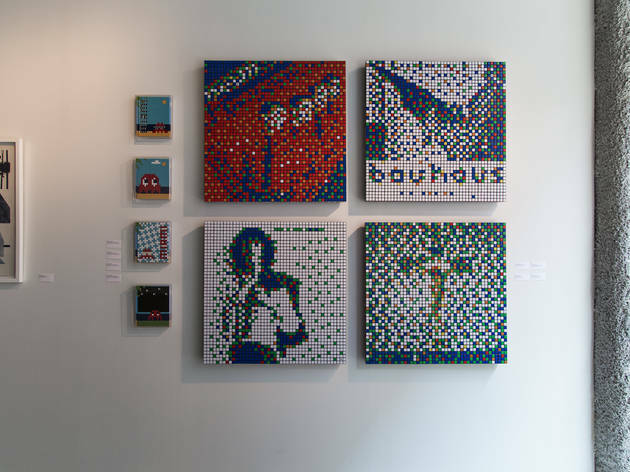 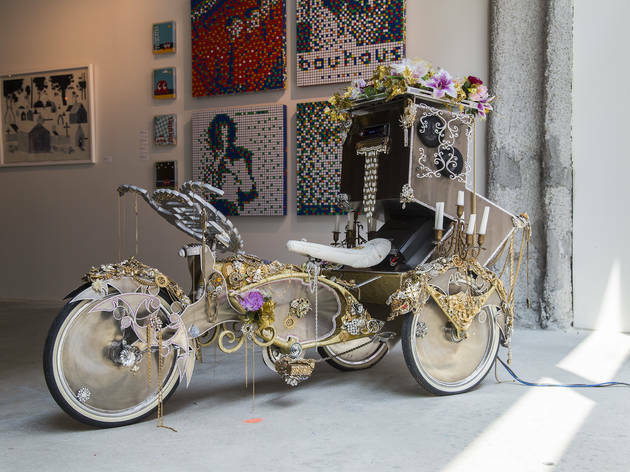 The exhibition features works by artists that you might not expect to find in a gallery setting, including Rubik's cube mosaics created by infamous French street artist Space Invader and a bedazzled record player affixed to a mirror. 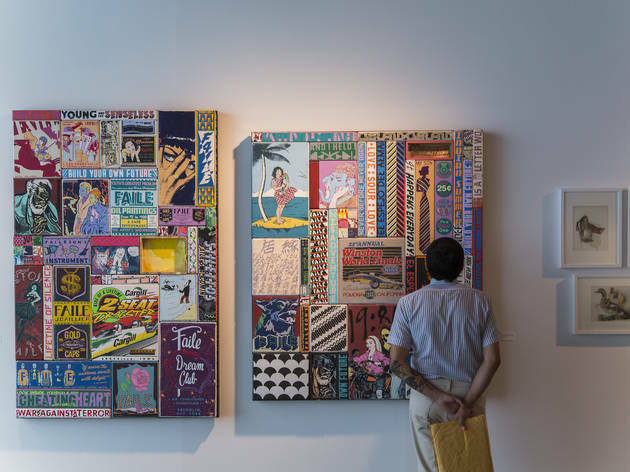 But, as Fairey told us in a recent interview, this incongruity is the focus of the show, introducing audiences to works by artists that exist on the fringes of the "fine art" world. 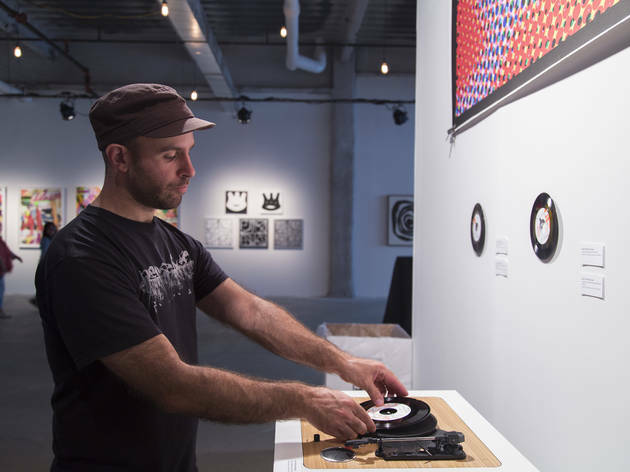 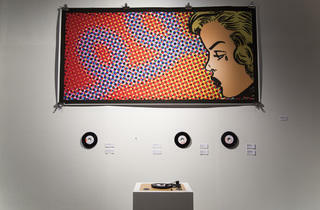 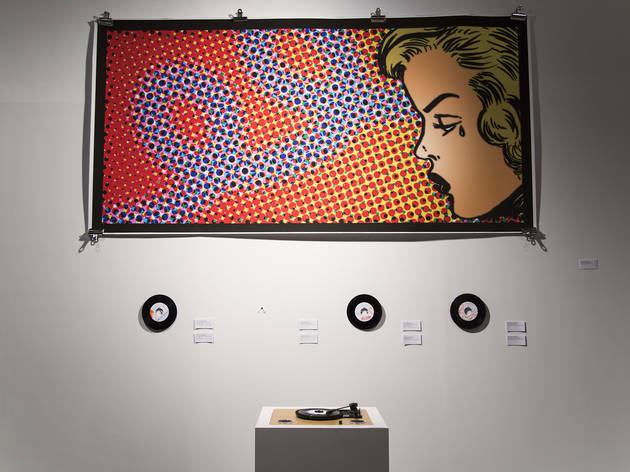 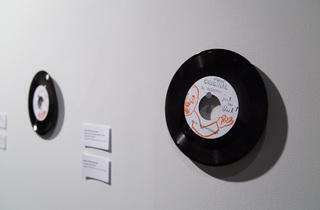 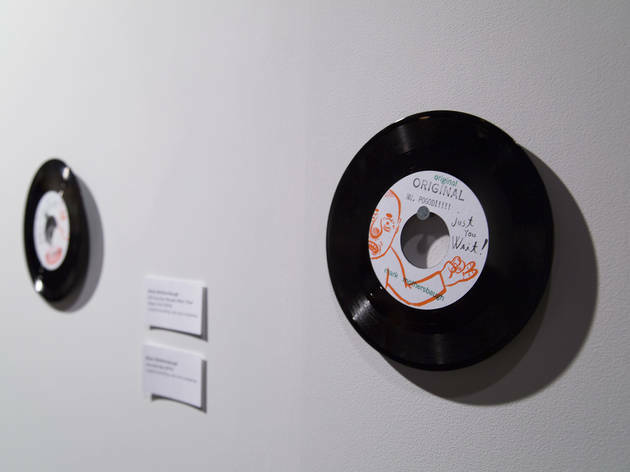 Highlights of the collection include an interactive piece created by Devo frontman Mark Mothersbaugh, featuring four one-of-a-kind records (including a strange Dylan parody and song that references deep-dish pizza) that can be removed from the wall and played on a nearby turntable. 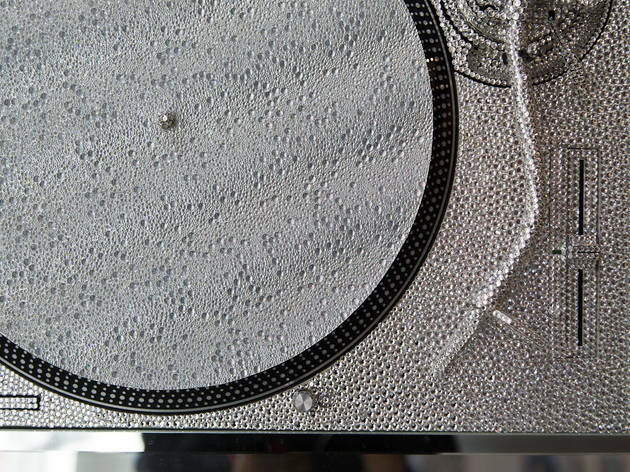 Featured works by Stanley Donwood immediately will be recognizable to fans of Radiohead and Atoms for Peace and includes a series of black and white prints that graced the cover and gatefold of the latter's recent Amok LP. 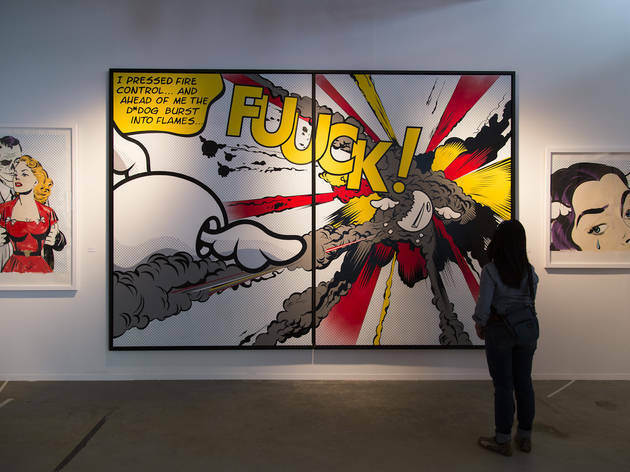 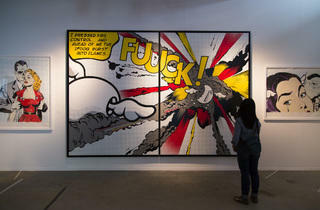 The collection's biggest revelation is the Lichtenstein-inspired work of D*FACE, including a large format painting of a comic book panel featuring an explosion and the crisply lettered exclamation, "FUUCK!" 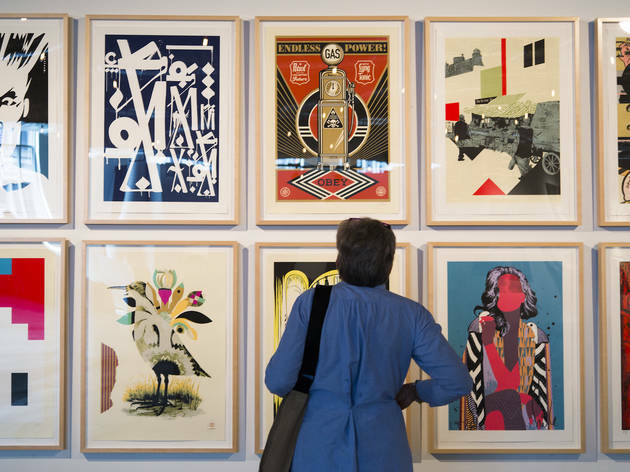 Of course, there's also some new work by Fairey himself, including a few oversized posters in his typical propaganda-inspired style and some trophy-like sculptures, all rife with not-so-subtle social commentary on topics like oil dependance and capitalism. 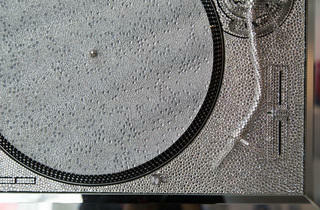 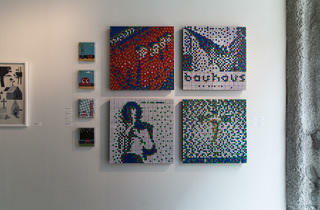 Compared to some of the other work in the show, it's all a bit pedestrian and not terribly provocative. 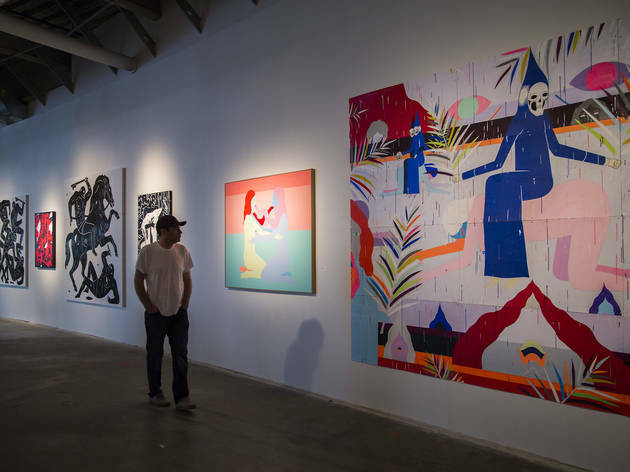 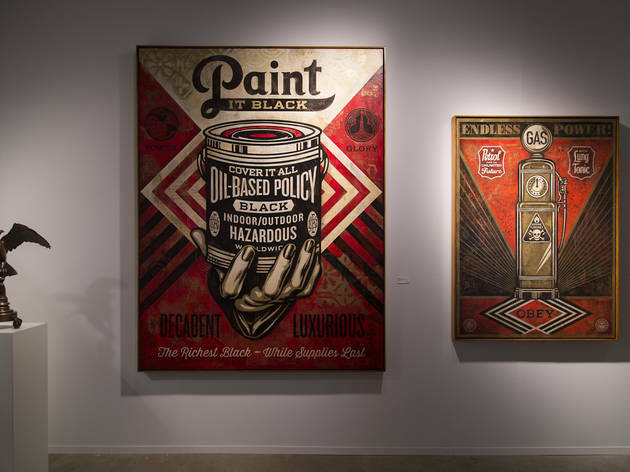 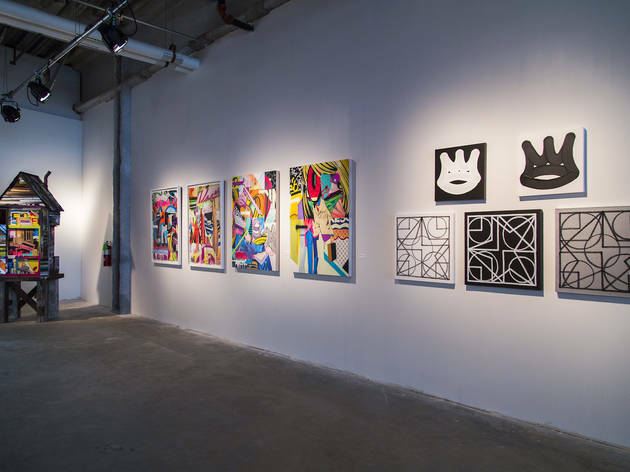 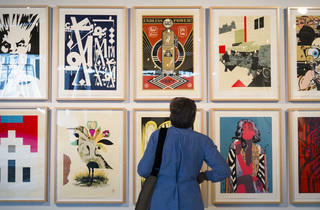 But, if the allure of seeing new work by the Obey Giant creator brings people into the show and exposes them to some of the other artists in the exhibition, Fairey has achieved exactly what he set out to do. 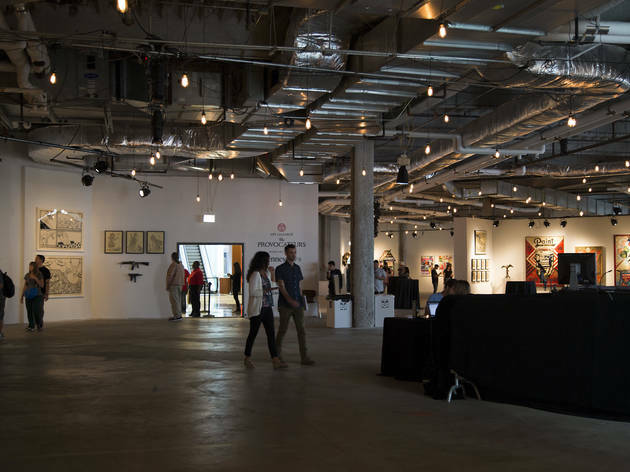 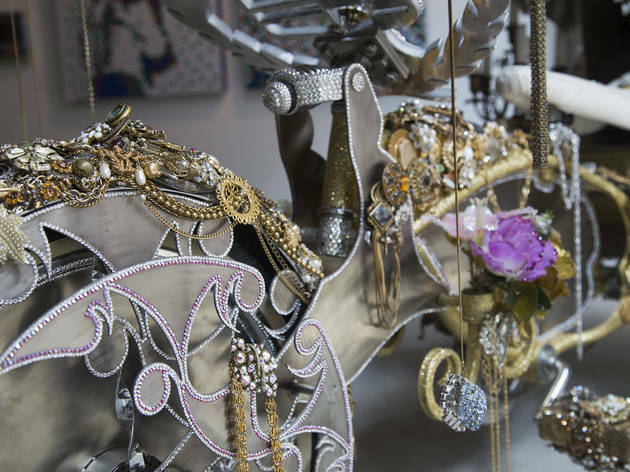 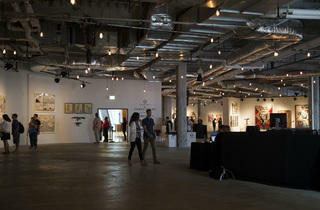 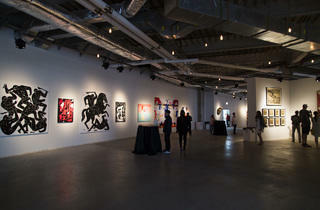 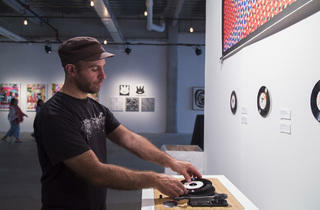 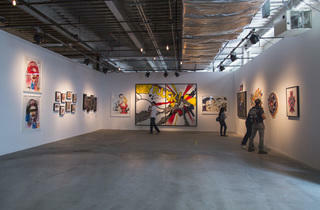 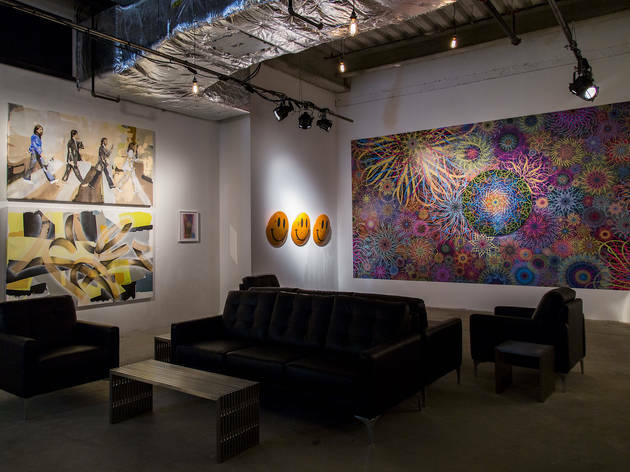 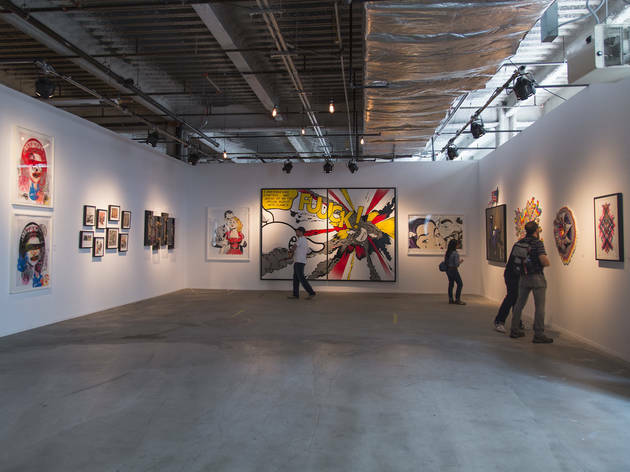 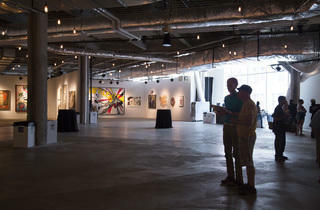 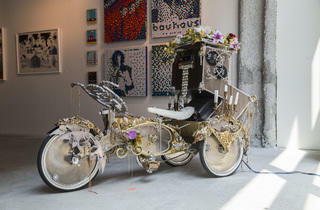 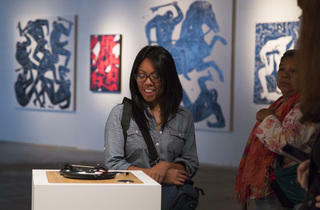 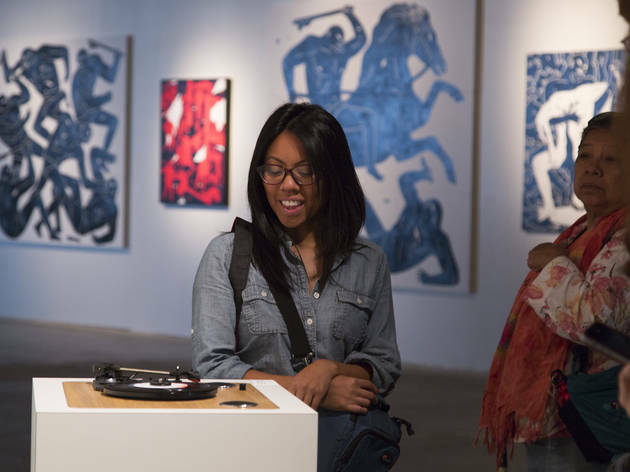 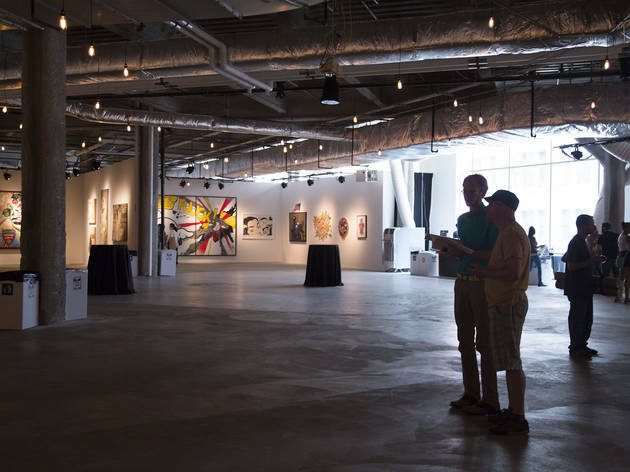 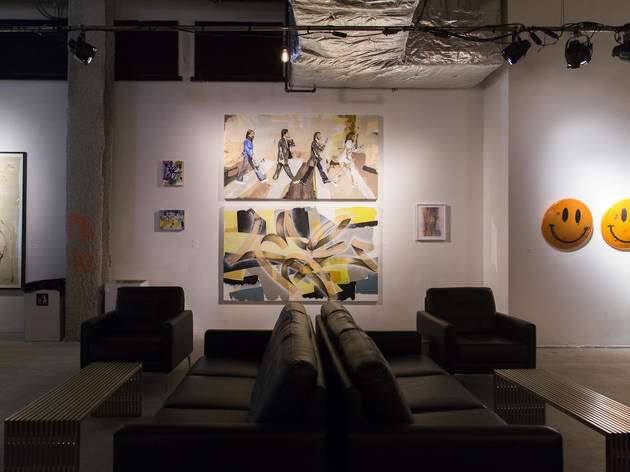 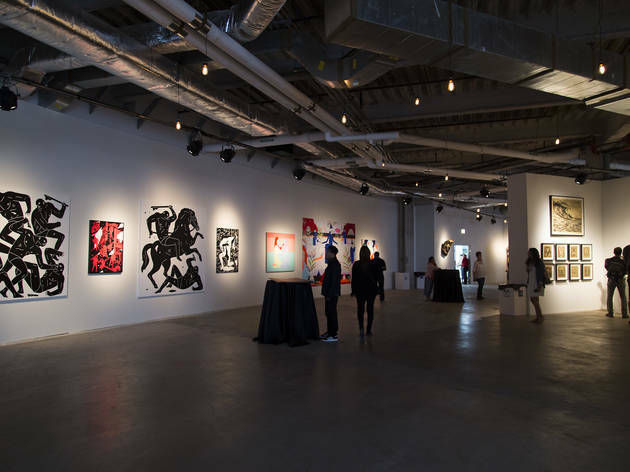 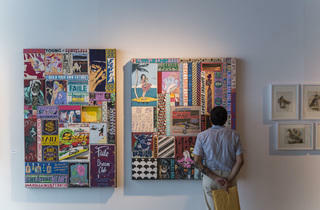 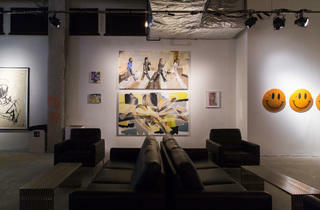 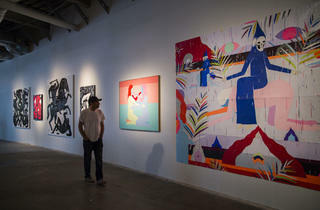 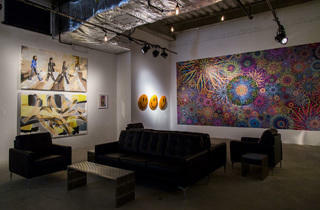 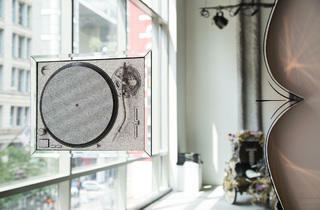 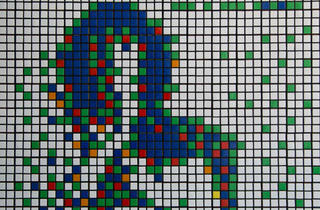 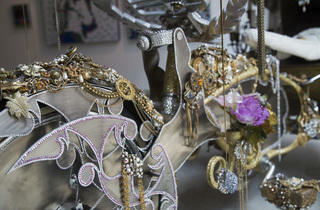 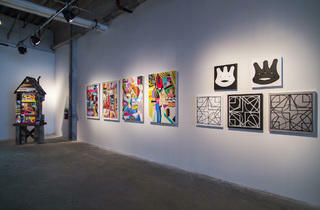 "Art Alliance: The Provocateurs" at Block 37 runs through Aug 4.